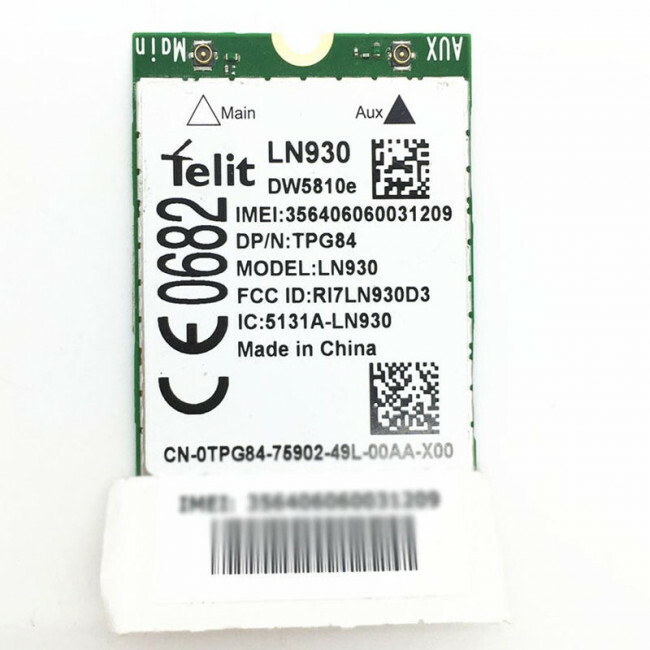 Telit LN930, based on Intel’s XMM 7160 chipset, is a single data card supporting international frequencies for LTE and HSPA+ bands, including LTE FDD; UMTS/DC HSPA+, and GSM/GPRS/EDGE. 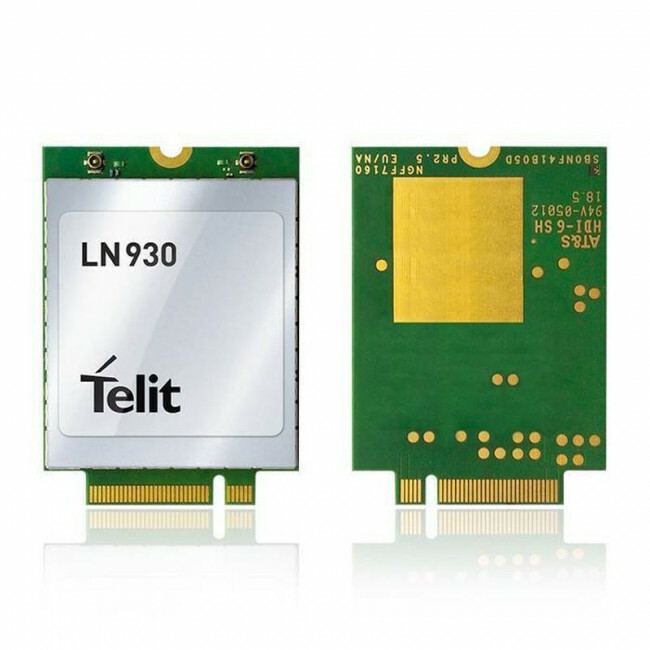 Telit LN930 M.2 data-card delivers 150 Mbps-down and 50 Mbps-up data rates on LTE or 42 Mbps down and 11.5 Mbps up on DC-HSPA+ networks. 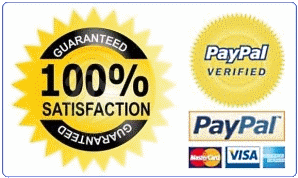 LN930 provides integrated GNSS (Global Navigation Satellite System), low power consumption, and support for multiple Windows OS releases (7, 8 and 8.1). 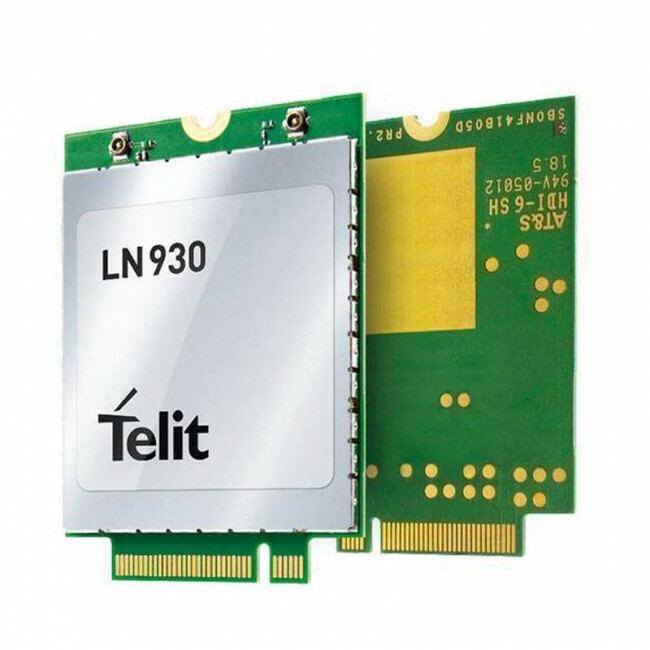 Telit LN930 card is also available in the version of Dell DW5810e 4G wwan card with same functions.